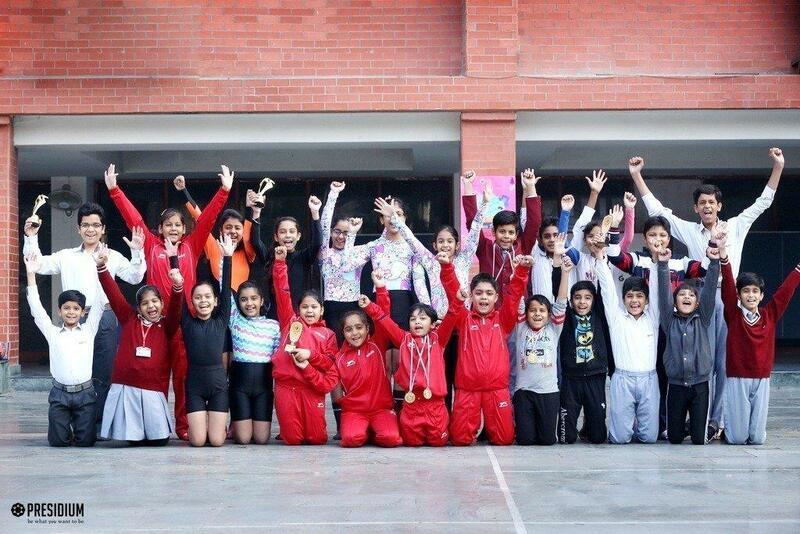 GYMNASTICS CHAMPIONSHIP: PRESIDIUM OUTSHINES WITH 13 MEDALS! HomeNews and UpdatesGymnastics championship: presidium outshines with 13 medals! 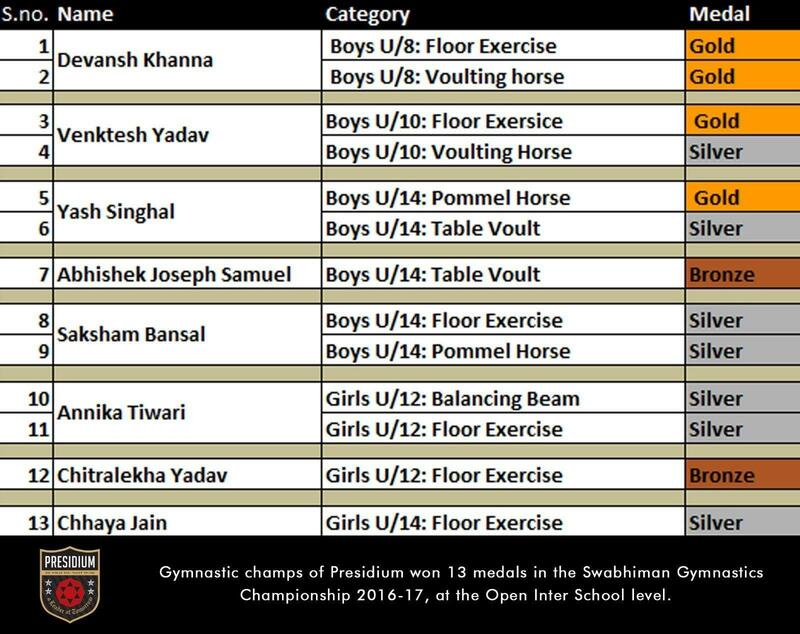 Presidians from Ashok Vihar showcased their enthralling sport skills at the Swabhiman Gymnastics Championship 2016-17, by grabbing 13 medals at the event. The event was held at Dwarka Sports Complex and Sarvodaya Bal Vidhalaya. The school won the Overall Team Championship trophy along with 1st position in the U-14 Girls category, 2nd position in the U-14 Boys category, 2nd position in the U-12 Boys category and 3rd position U-12 Girls category. Individually, the students bagged 4 Gold, 7 Silver and 2 Bronze medals in total.